I realize I am a bit biased on this blog's title. I was born and raised in Uruguay, so I can't deny this place holds a very special place in my heart. A country that is often overlooked and overshadowed by its (excellent) neighbors Argentina and Brazil. Uruguay is a fascinating country in its own right, so I am very excited to share this blog post! I traveled to Uruguay in early April for my cousin's wedding; an opportunity I could not miss. The trip that was filled with love and so many awesome afternoons spent with family, eating yummy food, walking everywhere and re-discovering places I loved. We even went to my childhood home. Going home is always bittersweet and fills me with nostalgia. We spent eight days in Uruguay, and though I wish we could have gone for longer, we took advantage of every moment. I wanted to share a week-long itinerary in this little country of mine. So here we go, ideas of what to see and what to eat while in Montevideo, Uruguay! A bomb of a sandwich, piled high with bacon, ham, fried or boiled egg, cheese, lettuce, tomato, olives, peppers, and mayonnaise. You really cannot go to Uruguay and have one of these. You won't regret it. A sweet and delicious concoction of sponge cake, meringue, cream, and fruit. It was invented in Paysandú. While Montevideo isn’t typically the first place that comes to mind when people think of wine country, it should be. Uruguay itself is an up-and-coming wine destination, with its signature variety, Tannat! It's delicious!!! picture. 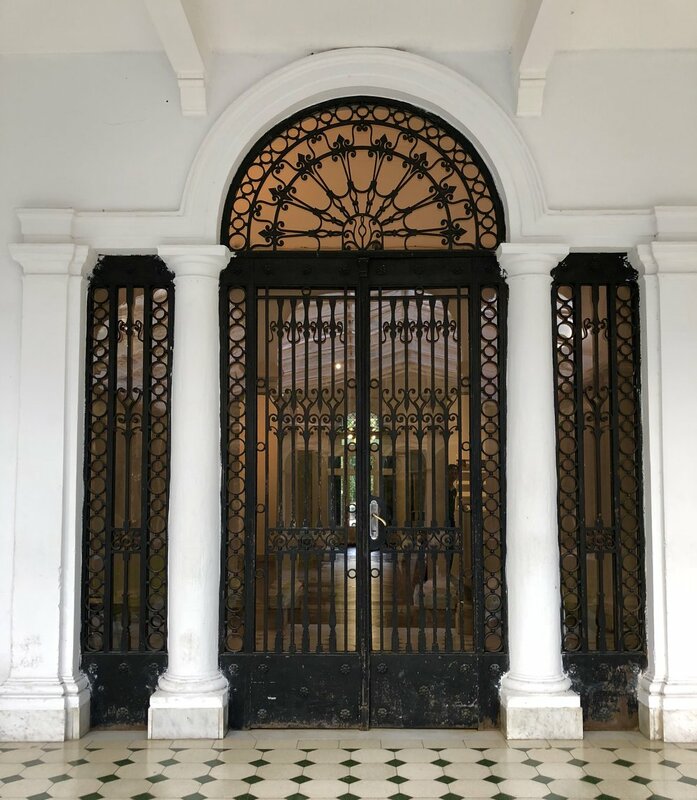 This will be a great first interaction with the city; walking around and looking up to see the beautiful Art Nouveau and Art Decó-styled architecture that can be found in many well-kept buildings. 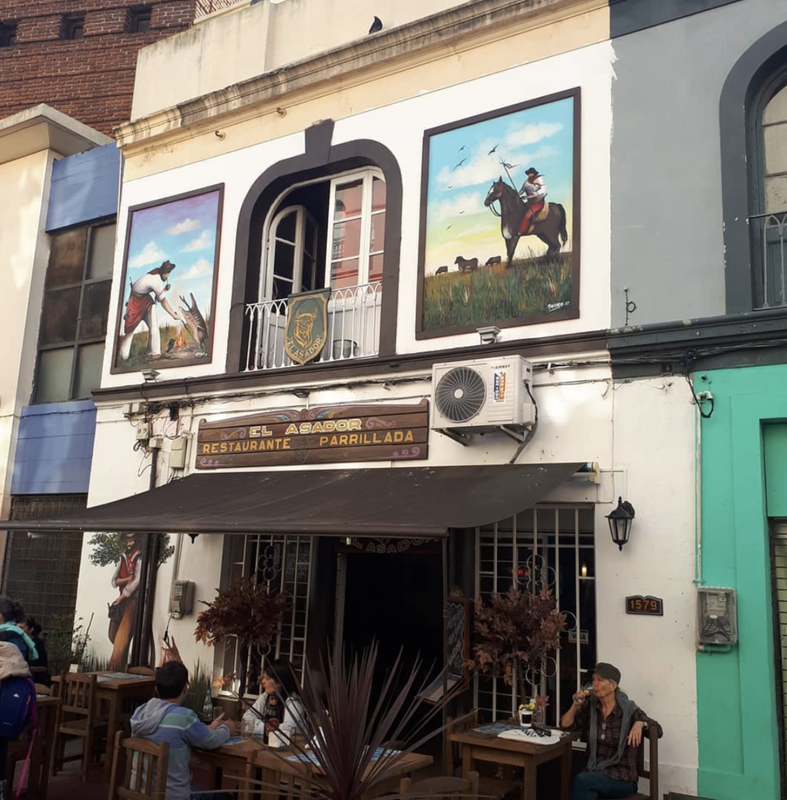 The great appeal of Ciudad Vieja is that you can easily get lost in its small alleyways and narrow streets and end up discovering something amazing. The 1868 Mercado del Puerto is a wrought-iron old train station that now hosts many different restaurants. Not really recommended for vegans and vegetarians as The Mercado's specialty is the different kinds of meat cuts. It can get a bit expensive, so I'd recommend going with a group. 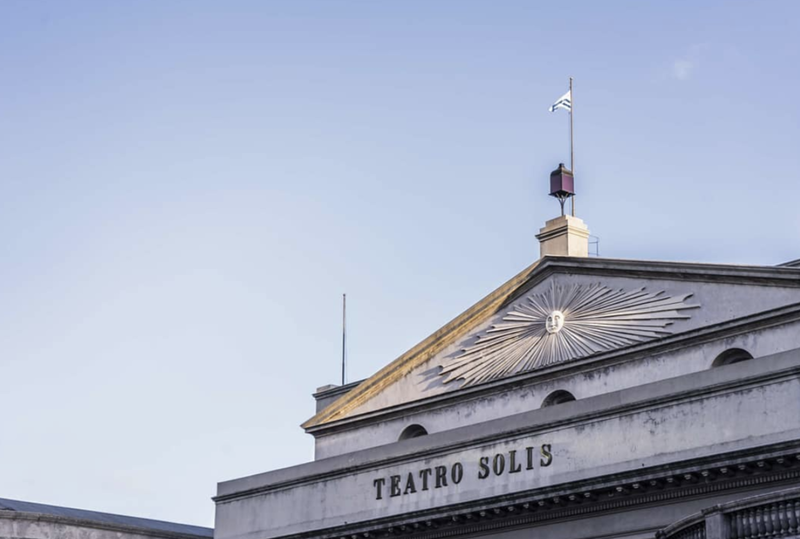 Just off Plaza Independencia, you can visit the theater "Teatro Solis." This trip was my first timing going inside the theater and doing a tour, which I highly recommend! (Free tours in Spanish, English, and Portuguese) The theater was originally built in 1856, and it's been recently renovated. The theater is really beautiful inside so make sure you check it out. Notable for its domed bell towers, this 1804 cathedral is the burial place for some of the country’s most important figures. Love looking at the artwork and architecture inside the cathedral and this one is something special. A nice and peaceful moment admiring the cathedral is well worth it. This street is the main pedestrian street in the old city, starting from the Puerta de la Ciudadela and ending at the Rambla on the coast with art galleries, coffee shops, restaurants and shops selling handicrafts. In case I haven't mentioned it yet, I am a book lover and I am obsessed with bookstores. Even more so, bookstores with a coffee shop inside. This book store is also in the old town! 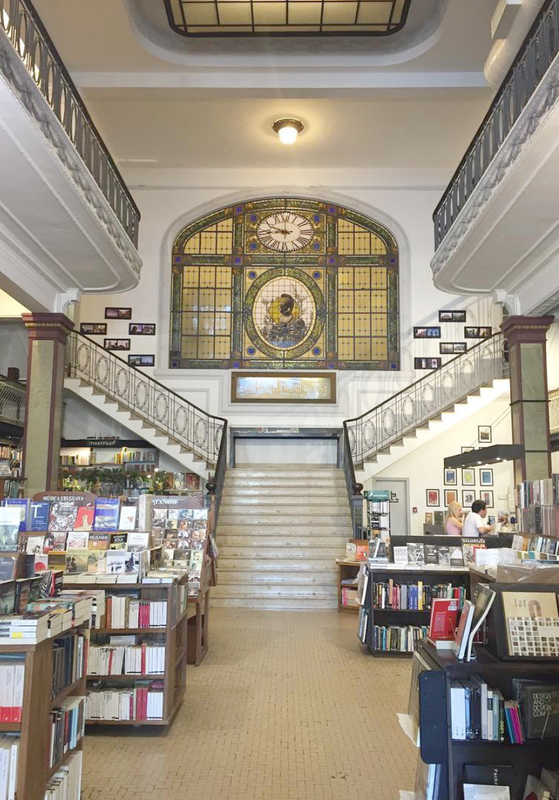 This beautiful bookstore is in a stunning building which was formerly an optician's store, as well as the Optic Institute of Montevideo. It is a neoclassic building with touches of Art Nouveau. You can find several beautiful details, like the grand stairs and the curved windows, etc. It even has a small restaurant/cafeteria in the first floor. It has a fantastic photography book collection. Parque Rodó is a neighborhood boasting an amazing park with plenty of trees and greenery, a lake, a mosaic-tiled fountain, and a vintage amusement park. 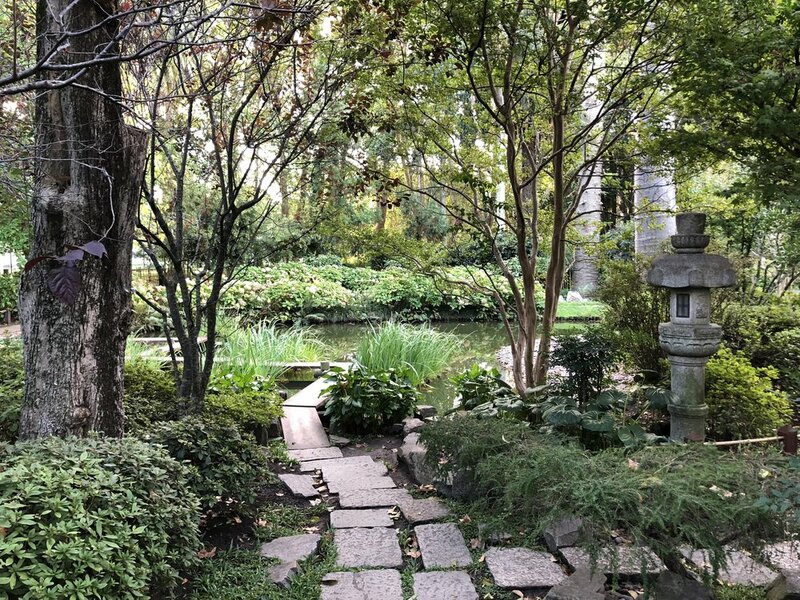 It’s a part of the city worth checking out and spending the morning. There are many bakeries near the park where you can find bizcochos, sweet and savory pastries to have in the park for breakfast. I also recommend one of my favorite pastries, the pastafrola! Speaking of beautiful bookstores... Escaramuza was by far my favorite and newest discovery. My best friend recommended it to me. I loved it so much!! I already featured a photo from this place on my Instagram account because it's seriously an amazing place. Also! The food they serve is spectacular. 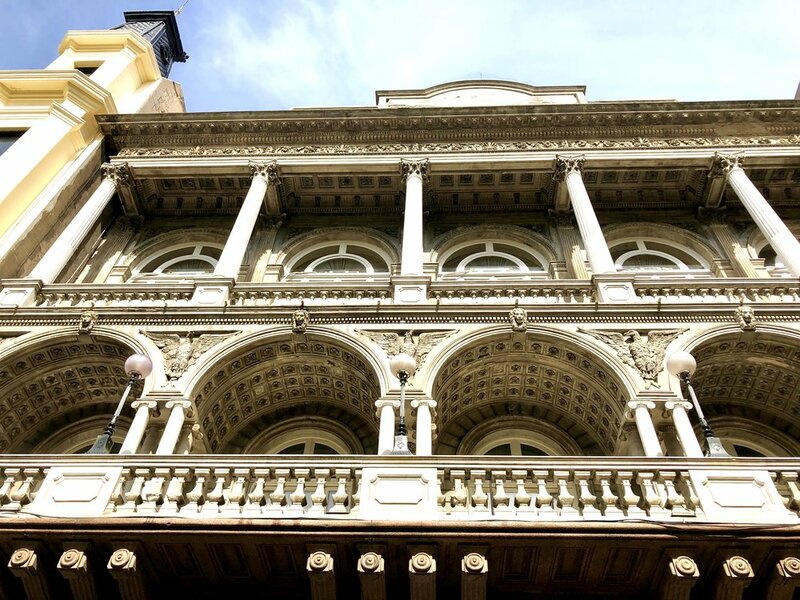 We arrived at the facade of a gorgeous and stately old white building in the Tres Cruces area of Montevideo. It appeared to be a book store, but when you enter, you find that beyond the place being a very beautiful bookstore, it also has a cafe and restaurant which was packed with people enjoying their lunch. We ate in the nice open courtyard in the rear of the building where most of the tables are located. We ordered the milanesas with mashed potatoes and they were amazing. For dessert, we got the "volcan" which has dulce de leche with banana ice cream. SOO Good!!! The ambiance of the place was fabulous, the service excellent and the food was delicious. You can find a lot of restaurants and stores in the neighborhoods of Punta Carretas and Pocitos, so it’s nice to do some window-shopping and decide where you want to eat. Then head towards the water for a walk along the gorgeous rambla. The part of la rambla in this area shows the landscape of fancy skyscrapers on one side and beautiful coastline on the other. There are squares on the beachfront which are perfect to rest. You can find restaurants located between the promenade and the beach, perfect to have dinner while you enjoy the sunset or moon rise. 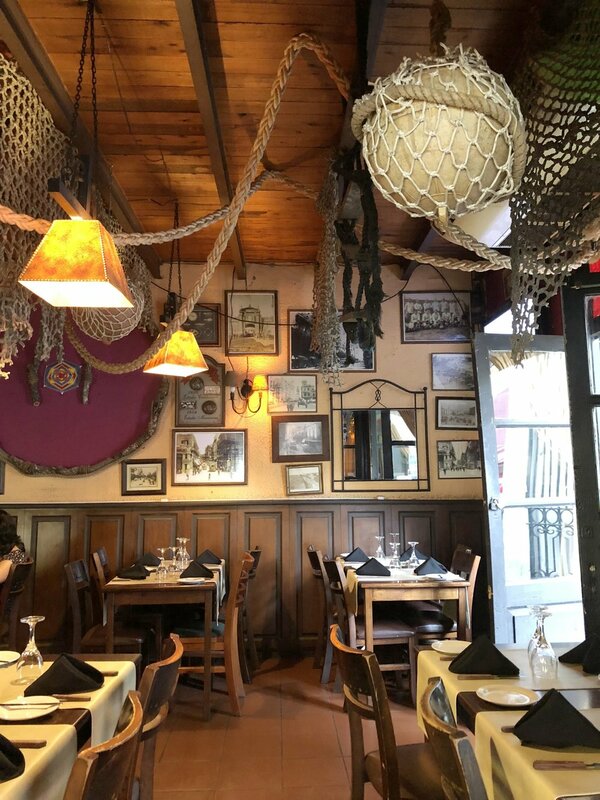 A great example of excellent seafood and the gorgeous garden is El Viejo y el Mar. This was another recommendation by one of my besties. A little hidden restaurant in the backyard or fondo in Spanish of a house in the Buceo area in Montevideo. Another great spot to come with friends to enjoy some yummy food and great beers! The night we went it was even a little bit chilly so offer blankets for those of us who sat outside. The food was yummy with a varied menu, and the service was great. 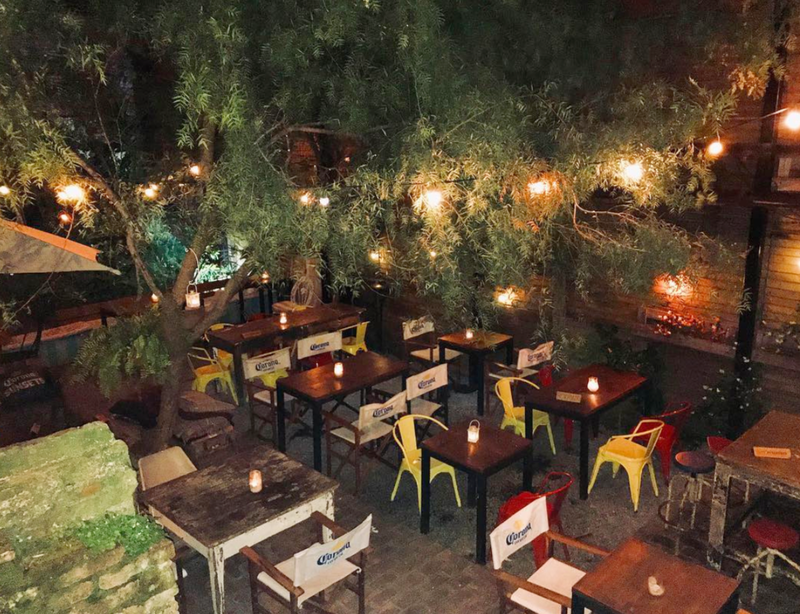 It has the vibe of a beer garden but more cozy. The only down side is that it's a tad pricey. Another great a new place in Montevideo is MBC in Pocitos! We were surprised to seeing it quite busy on a Monday night. We only tried the beers but it looked like they have a good and simple bar food selection. They have a great selection of house craft beers on tap, the bar tenders were helpful and even let me taste a few beers before I made my choice. They also have outdoor seating with some nice patio lights. A great vibe overall! ChiviPizza was our first dinner in Montevideo and it did NOT disappoint. This is where we had our first chivito. They give it a gourmet touch, and it's not as big as you'd expect. The pizzas were amazing. The vibe of this place is fantastic with very nice decorations which make it feel very cozy. We went to the location in Arocena (Carrasco) and the service was also good! La Pasiva: When you visit Montevideo, you must try going to La Pasiva and order their plain panchos (hot dogs). They make their own mustard, and to this day I've never had such amazing mustard. I promise you. The original recipe is kept secret, however, it is known that it is a mustard with beer-based vinegar, thickened with flour and starch and seasoned with Colman’s Mustard, salt, and pepper. The beer used for the base must be of the Plisen brand. Schwarma Ashot: for a taste of something different, and if you're into Mediterranean food, check this place out. It's a humble kebab joint, with many delicious options. We went with our favorite, the lamejun. So tasty and delicious. Prado is another historic neighborhood of Montevideo. 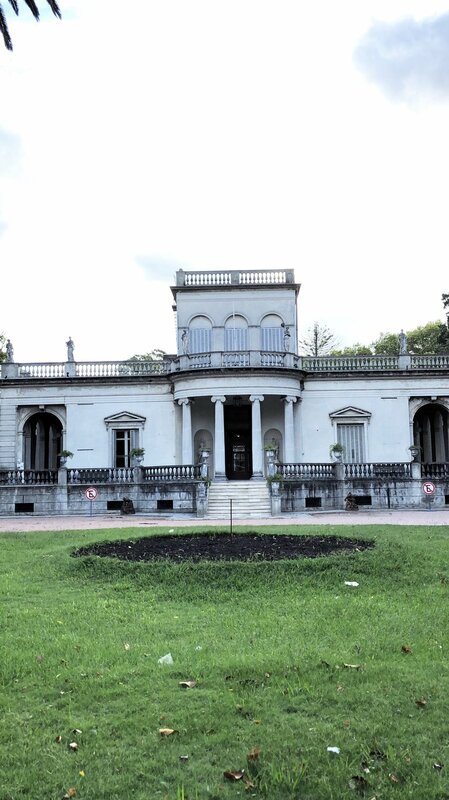 Back in the day, wealthy families used to build their summerhouses in this part of the city, so you can see an amazing display of architecture that differs greatly from the one you find in Ciudad Vieja. There’s a museum called Blanes featuring Uruguayan paintings from the 19th century and a Japanese garden. In Prado, you can also find the biggest botanic park in the city and a beautiful rose garden right next to it. 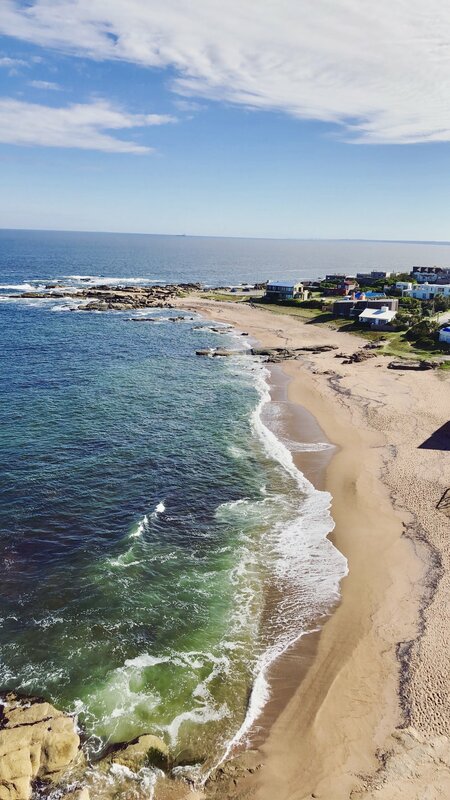 If you have time, take a day trip to Punta del Este. It's known worldwide because of its beautiful beaches. Because we went in April, already considered low-season, it was so peaceful and quiet. I was lucky enough to spend most of my childhood summers there, but going back this time, I found it to be even more beautiful. We stopped at Las Grutas Beach and had lunch at Imarangatu restaurant. The setting of the restaurant is beautiful, the views gorgeous, WiFi, pet-friendly, very good sangria, and excellent service. One of our favorite parts of the trip was stopping at Jose Ignacio. We went up the lighthouse and fell in love with the views. Again, because we went in the off-season, there was barely any traffic, it was quiet, and we really enjoyed walking around, essentially, by ourselves. To say we didn't want to leave would be an understatement. We loved spending time with my family, walking around everywhere, trying all kinds of delicious food we love and miss all the time. Uruguay will always hold a very special place in my heart, and I truly can't wait until we go back!